Awareness aid or tool of cultural oppression? Some people have epiphanies in the shower. The other day, I had one afterwards. 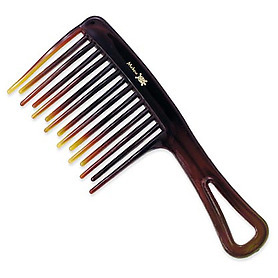 I wanted to comb my hair, but since my comb was in another room, I reached for my hairbrush. As I raised my arm to use it, I noticed I was holding my breath. Before beginning my Feldenkrais training, I wouldn’t have sensed that moment. I would have simply continued to brush my hair, probably with pursed lips and contracted muscles, much as I had done thousands of times before. As I stood in front of the mirror, wrapped in a towel, brush in hand, hair damp, I wondered why I had interrupted my breathing before beginning this mundane activity. Since I’m able to easily lift my arm, the movement itself was not the issue. I exhaled slowly as I sought an answer. Was it because when I was a child and my mother or father brushed or combed my long, curly and rather thick hair, they encountered knots or tangles? Had I held my breath then in anticipation of the inevitable but unpredictable moment when the comb or brush would tug at my hair and scalp? Had clamping my breath been a strategy to brace myself so as to not be caught completely off guard? Was my nervous system still storing that memory, many decades and dozens of haircuts later? Or perhaps I held my breath and gritted my teeth because I had internalized that hair brushing was a chore or obligation rather than an inherently enjoyable activity or gesture of self love. From a fairly young age, I felt alienated by and even resentful of the lengthy if not complicated female grooming rituals touted in magazines and celebrated in the culture. After a few halfhearted and failed attempts to get my substantial and dark hair to mimic Farrah Fawcett’s blonde feathery “wings”, I learned that trying to look like someone else or sport the latest fad hairdo was an exercise in futility and a waste of time. I had little patience for friends who couldn’t leave the house unless they had spent nearly an hour drying, curling and spraying their hair until it was “just so”, as if their happiness depended on each strand remaining in its proper place. At some point in my twenties, I decided I wouldn’t spend more than 10 minutes on both my hair and the minimal makeup I wear. Was holding my breath when brushing my hair a signal to not invest in an activity I deemed frivolous, and to get through it as quickly as possible? Or was it that normally I use a comb for wet hair, and the unfamiliarity of the brush caused me to hold my breath? Or had I developed a habit of holding my breath before initiating most actions, including brushing my hair, as a response to an anxiety pattern? Perhaps different combinations of these reasons, at various times over the years, had contributed to the habit of approaching my hair more grimly than joyfully or even neutrally. To hold the breath is to introduce a knot or tangle into movement, adding unnecessary effort and reducing the likelihood that the experience, whether brushing hair or brushing snow off a car, will feel pleasant. To hold the breath is to introduce needless complication and strain, to cut oneself off from moment to moment experience, from life itself. To hold the breath at the beginning of or throughout an action is to privilege the action or its result over the human being involved in it. In our culture, however, it’s a point of pride for many to twist themselves into knots in order to accomplish various feats; indeed, such behavior often elicits accolades. Many of us hold our breath even in seemingly inconsequential moments without being aware of it. If we do this for years on end, we gradually choke off spontaneity and the expression of our spirit. The beauty of the Feldenkrais Method is that, through the cultivation of awareness, it can help shift or untangle longstanding habits painlessly and relatively quickly. Over time, through moving slowly and with attention, we discover that there is no need to force combs through knots or, worse, take scissors to matted hair, literal or metaphorical. We learn to approach knots of all kinds with curiosity rather than judgment, realizing that there might be more than one way to untangle them. While it had been interesting to try to identify the root of my constricted breathing, I realized that I didn’t need to pinpoint an explanation to experience a shift. Last night I decided to approach brushing my hair as an Awareness Through Movement lesson, not as a beauty ritual or an attempt to get my hair to “behave” or look a particular way. While breathing evenly and without looking into a mirror so I could more easily attend to my inner experience, I slowly brought the brush from the top of my head to the ends of my hair. Without hurrying, I repeated this gesture around my skull, sensing the handle between my fingers and palm and listening to the sounds of the bristles as they traversed my mane. When I finished, I put the brush aside. Although the exercise lasted just a few minutes, I noticed a deep calm, as if the simple action had united my follicles with my fingers and even my feet. Eventually I looked in the mirror. My face seemed more relaxed, as did my hair. Some people probably would have said it looked “nicer” or “prettier” than it had a few moments before. And there’s nothing wrong with that, except looking pretty hadn’t been the objective. It was simply the result of choosing to be present and focusing on sensations, not appearances. That, to me, is a beautiful thing.